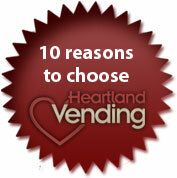 Heartland Vending offers options that make sense for your business or organization. We understand every business is different. 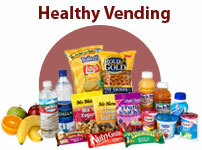 That's why we offer several individual Vending Options that have been proven to work for workplaces in multiple industries. 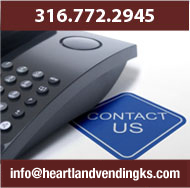 A Heartland Vending sales rep will visit you to discuss these differing options and help find the exact arrangement that makes the most sense for your organization. We provide you with professional office equipment and keep you constantly stocked with brand name coffees, teas, and hot chocolate. 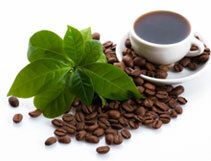 Plus we include creamers, sugars, stir sticks and more so you never run out. 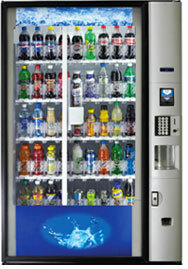 Now enjoy your own purified water as good as bottled water but without the expense. Our top of the line water filtration equipment can tap right into your workplace water for low-cost, trouble free service.